, we believe that moving into your new home should be straightforward, exciting, and fun from start to finish. 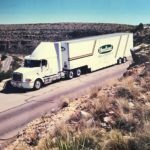 This is why we are proud to offer vehicle transportation services in West Hartford to make your long distance move much easier. 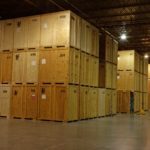 We understand how much you rely on your vehicle, and offer reasonable rates, easy scheduling, and courteous staff We take all the necessary precautions to keep your vehicle safe during the entire loading, transportation, and unloading process. 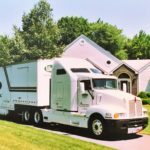 We will work with you to determine your timeline and ensure that your vehicle arrives at your new residence when you need it so you can begin the next chapter of your life as soon as you move in. Clean it out: Take a few minutes to inspect the inside of your car and clean it out. 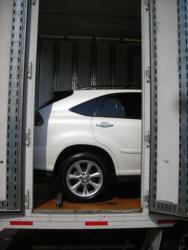 Remove any important items that you may need before you can get to your car again. This includes personal items, parking passes, and other important documents. Take photos: Take photos of the exterior and interior of car from several different angles to document its current condition and appearance. We take excellent care of your vehicle while transporting it, but it’s good to have photos should any unforeseen accidents happen. Get a checkup: Have a mechanic perform a routine inspection of your vehicle, or do it at home yourself! Make sure your car battery is fully charged, your tires are fully inflated, and that your car doesn’t have any leaks or other issues. This will ensure your car is in working order when it arrives at your new home. Clean it out: Even if you’re driving yourself, you don’t want to travel long distance in a messy car, especially if you’re also transporting your family. Remove any old papers, wrappers, or other debris that might get in the way during the trip. Get a checkup: Have an inspection completed at a mechanic or inspect your car yourself to make sure everything is running smoothly. The last thing you need is a flat tire or dead battery to slow you down. Prepare for the elements: If you’re making your move in winter, make sure you have plenty of coolant on hand in case your car overheats. If you’re moving in winter, put an ice scraper and antifreeze in your trunk in case you need them.